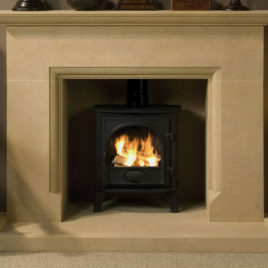 The Ablington features a subtle traditional flare with its corbels and chamfered edges. 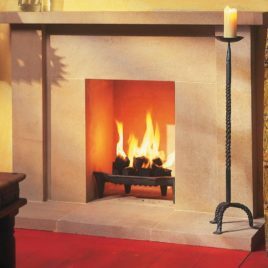 Although a large fireplace, is a long established favourite. It is styled in the grand manner and the carved corbels or supports for the mantle-piece add distinction to this impressive model. The Aldsworth stands as a strong reserved piece. A hint of character sneaks through the aperture and a kerbed hearth but nevertheless a bold imposing piece for any grand living space. It is equally suitable for open fires or stoves. 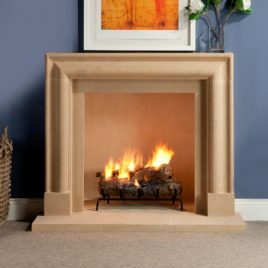 The Fosse’s clean lines and classic detailing result in a fireplace which will add grace to any home and any style of decor. 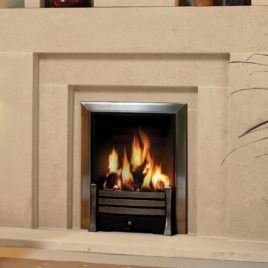 Using gas or insert fires, it works well in modern or loft-style conversions, is well suited to bedrooms and has even been used in a conservatory. The Otter is pure and simple. This piece takes away the superfluous and is straight to the point. The material can lend itself to a variety of design schemes but this style is definitely well placed in a modern setup. 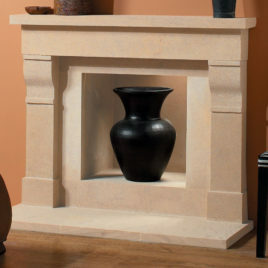 With clean and simple lines, this compact and beautifully proportioned fireplace will add style to to any size room. The Oxford is a balanced piece not too strong to lean either way on the Traditional/Modern spectrum. 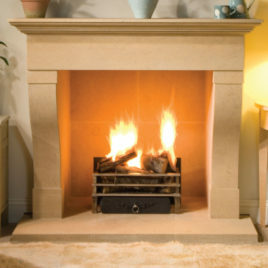 Simple lines combined with subtle curved detailing below the mantle. The raised hearth adding yet more character. 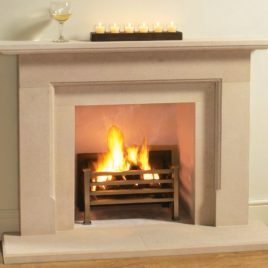 The Salisbury’s clean lines and classic detailing result in a fireplace which will add grace to any home and any style of decor. The Taynton does not hold back on its articulate detail and grand stature. 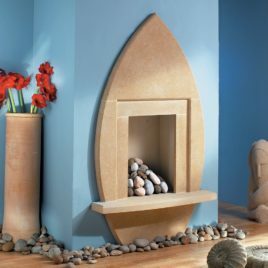 This Elegant fire surround has considerable detail in its hand carved design, the lines of which break up the traditional shape. 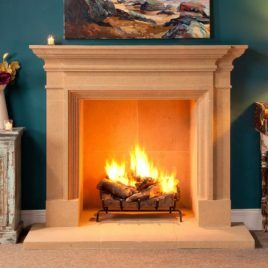 The Taynton will complement modern and traditional design schemes alike, as well as many types of fire and provide a stunning focal point for any room in your home. 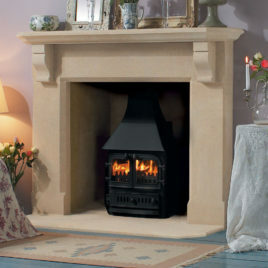 The pleasingly proportioned lines are further complemented with delicately detailed uprights and a simple mantelpiece and hearth. 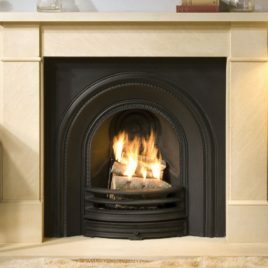 This surround is suitable for use with solid fuels, gas insert or electric fires. 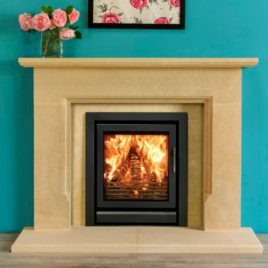 Another recent addition to our range, the Windrush is a substantial and impressive fireplace with gracefully sweeping uprights, simple lines and a traditionally moulded mantelpiece.